Come meet us at the Playtime in Paris. We will be at Booth I 30. 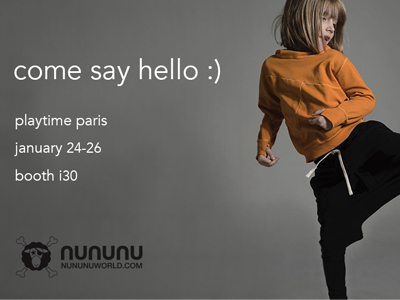 January 20, 2016 | Filed under Blog and tagged with AW 2016, e-trade, NUNUNU, Playtime, Playtime Paris, urban.